Mr. Jordyn G. Hollander is a Business Startup Expert of Integral Board Group, LLC and is also an accomplished entrepreneur, strategy consultant and sales team leader. His deep experience with start-up companies provides a progressive approach to companies of varying size across numerous industries. 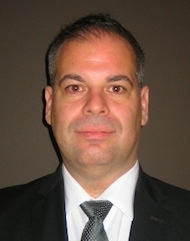 Mr. Hollander founded multiple companies including rVention, a consumer electronic company creating a new category of smart personal medical devices, Quantum Niche, a social buying network focusing on strategic partnerships with the publishing industry and MyEcco, a new and cutting edge social network. He has also successfully created and implemented sophisticated consumer sales and marketing programs for small and medium sized companies within wireless, interactive print, IPTV, social media and consumer electronics verticals. Mr. Hollander served as CMO of ILBtv, an innovative IPTV provider of Spanish language television in the U.S., Interim President of You Digital Media, a premier provider of customized on-line video content, Vice President of Sales & Operations of CG+M Advertising and EVP of Sales and Marketing at WiNK International. Mr. Hollander holds a Bachelors degree in Hotel/Restaurant & Business Management with a minor in Marketing from NYIT.